We offer a range of Professional Class hosting options, from our basic hosting package to our Reseller Package which is ideal for website designers and developers. Whatever your hosting preferences we have the solution for you, if you do not see what you want here then please contact us with your requirements and we will tailor a solution for you. Ideal for personal websites or small businesses with basic web hosting requirements. 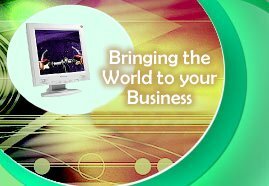 Ideal for small to medium business use with standard web hosting requirements. 50 Mb Webspace, 5 POP3 Accounts, 10 User Accounts, Admin Control Panel, CGI, FTP, PERL. Ideal for larger businesses who require seperate webspace allocations and e-mail accounts for individuals. You can control webspace allocations, user names & passwords, e-mail forwarding, and a host of other features from your Admin Control Panel. Your company branding will be applied to all control panels etc. Included is webspace for you to divide between your website and your resale accounts. Your account includes: 300Mb webspace, 20 Resale Accounts, Up to 20 Domain Name hosting, 40 POP3 Accounts, Branded Control Panel, CGI, FTP, PERL. This is an ideal account for web developers/designers who are interested in offering hosting services to their clients but have neither the workload or knowledge to run their own server. This account is fully setup and ready to go and full support is given. You are free to set your own charge rates to your customers and to fully customise webspace and e-mail allocations. If for example you were to sell 20 hosting packages at £95 per year you would more than quadruple your outlay. Further details are available on webhosting and all our other products via the enquiry form on our Contacts Page.